Franklin County Public Health can be reached through the Ohio Relay Service at 1-800-750-0750 (TTY-TDD) or by dialing 7-1-1. 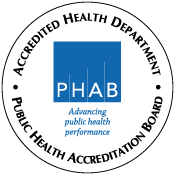 Looking to contact a specific FCPH employee? View our staff directory. We respond within 24 hours of receiving your email. We are located in Franklin County Memorial Hall (old COSI Building) at 280 East Broad Street in downtown Columbus. Our building is on the north side of East Broad Street between 5th Street on the west and Grant Avenue on the east. The main entrance of the building is off the parking lot on the east side of the building. The parking lot is located to the east of the building. Parking is free for those coming to FCPH. Bring your ticket in to be validated. There are parking meters on Broad Street (in front of the building) and on Gay Street (behind the building). 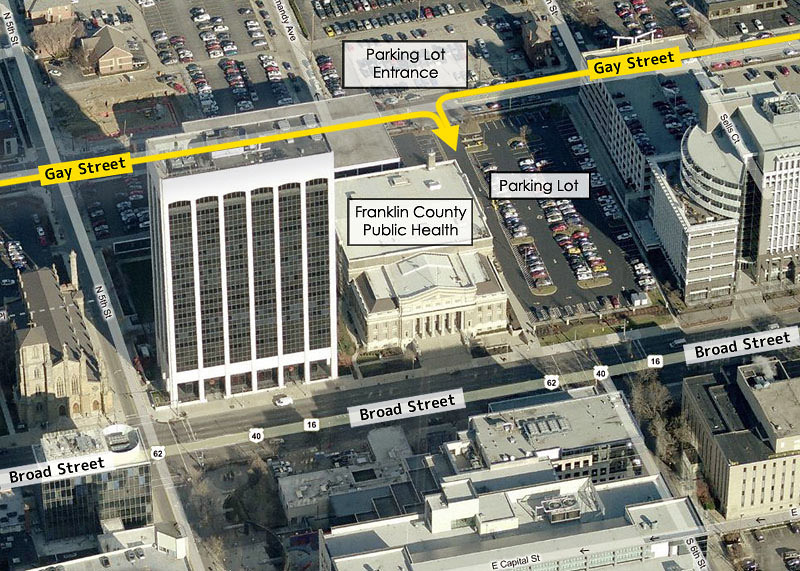 The parking lot for the building must be accessed from Gay Street. When using a GPS unit, please enter 275 E. Gay Street, Columbus, and that will take you to the entrance of the parking lot.